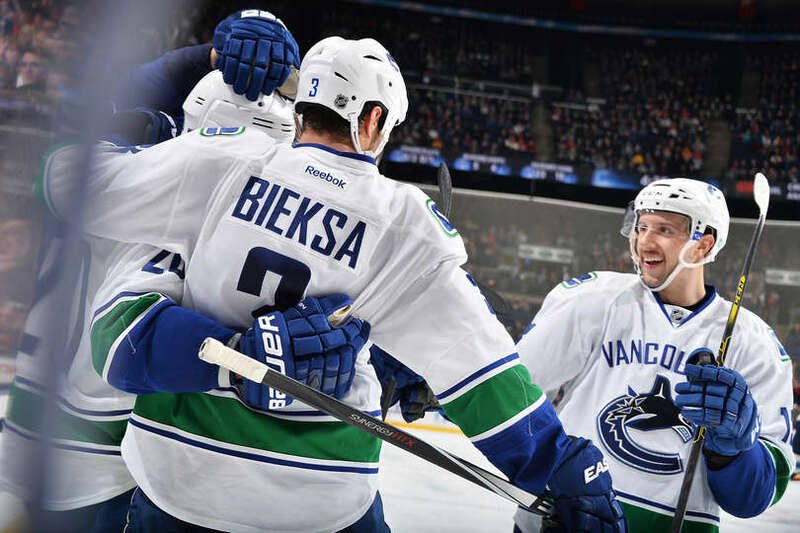 After a 5-0 win in Columbus, the Canucks are on a roll and sit near the top of the NHL standings. Nobody said it was pretty. In fact, Henrik Sedin offered that if the Blue Jackets had scored first in their Friday night matchup, things could have gone the other way. However, the Canucks came alive in the third to bury Columbus and start their 12 day/7 game road trip on a positive note. They’ll take on the Detroit Red Wings next in the NHL’s only game scheduled today. For the first time since February 3rd, the Canucks and Red Wings will faceoff, and do so in a Sunday matinée game at Joe Louis Arena. The Wings have put in a solid effort in their last 10 games, going 7-2-1 and are currently sitting at 31 points (good for 5th in the Eastern Conference) after 23 games. This will likely be the first stiff test for the Canucks since the Blackhawks a week ago and it will be interesting to see if they can build on their excellent road record (9-3-0). There are always high expectations in Vancouver, but when Jim Benning was hired by the Canucks, not many knew exactly what was coming. Sure, many believed Ryan Kesler would be out the door before this season started and free agent Ryan Miller was a likely candidate for the starting job in Vancouver, but how those would manifest partway through the season obviously remained nearly impossible to predict. However, as the NHL season screams past the quarter mark, it would appear that Jim Benning is a Mensa level genius. His offseason acquisitions have been nothing short of spectacular. Nick Bonino quietly had 3 assists last night (7G, 12A on the season) and remains a solid, dependable centerpiece on the Canucks surprisingly effective second line. Ryan Miller is among the league leaders in wins, and now has a 2 game shutout streak going (152:05 total). Radim Vrbata has been excellent with the Sedins, continuing to develop chemistry and execute plays that can only be described as “Sedin-like”. Even the much maligned Luca Sbisa filled in admirably against the Blue Jackets, with a game high +4 rating and an assist. He will have to be very, very good in the absence of Hamhuis. There is no replacing the Smithers, BC native, but if Sbisa can be effective (read: reduce mistakes to a manageable level), then that will certainly stem the tide. If the pieces Jim Benning brought in before this season continue to produce at this rate, or even slow down just a bit, there are going to be a lot of happy fans (not to mention the management team and ownership). Yes, it’s been a while since Canucks fans could shout out such words unabashedly referring to their home team. Yes, it’s been extra special lately (5 different scorers and 4 different lines against Columbus). However, I think it’s past the point where every observation is predicated with “it’s still early in the season…” As I mentioned, every team in the league has passed the quarter mark, and despite the reluctance to accept anything for what it is regarding the Vancouver Canucks, it might be time to give credence to the notion that the Canucks are a well built, well coached, and productive team. Every member of the top two lines is at least into the double digits with points, and there are three more players with 9 points. In the 5-0 win over Columbus, the entire season was epitomized by their production in the third period. After some Sedin/Vrbata magic, the rest of the team jumped on board and allowed Desjardins to roll four lines in the first game of a long road trip. That last note is crucial, for this road trip and the rest of the season. Personally, I think it’s been particularly exciting to watch Shawn Matthias for the last month or so. After an admittedly brutal first 8 games (no points and an average 11:15 TOI), Matthias has been pretty great on the third line. In the 15 games since, he has 7 points (4G, 3A) and has averaged almost 3 minutes more per game (13:55). Aside from the production, his ability to drive to the net and win battles along the boards have been on full display almost every night. He’s my Dad’s new favourite Canuck. I wrote this article on Wille Desjardins after the first 9 games of the season and it’s amazing to see how well it has held up. The main points and observations I made surrounded the team offense, penalty minutes per game, individual time on ice, and the attitude towards the Canucks’ goaltending. I suggested that if Desjardins could bring his offensive coaching prowess to the woeful Canucks offense from last year (ranked 28th in goals for and 24th in goal differential), there would be positive repercussions. Well, after 23 games, Vancouver is ranked 5th and 7th in the NHL in goals for and goal differential respectively. Check. Desjardins’ Texas Stars were far and away the least penalized team in the AHL over the last two years, and it appears his preferred playing style has carried over to the big leagues. The Canucks were the 3rd most penalized team in the NHL last year (13.6 PIM/G) and we all know how that worked out. This year, the Canucks are in the middle of the pack but spend over 3 minutes less per game on the penalty kill (10.4 PIM/G). Check. Much has been made (even in this Game Day Report) about the depth of the Canucks and Desjardins’ design of rolling four lines. That is still in full effect, with only rookie Bo Horvat averaging under 10 minutes per game (9:34). Horvat has been working his way into more minutes with responsible play, occasional offense, and exceptional face-off skills. He is now won 65 of 106 draws taken, which is roughly 61.3%. While he hasn’t taken enough faceoffs to qualify among the league leaders yet, he ranks second among regular centers in percentage behind only former Canuck Manny Malholtra. Again, Check. Finally, how could anybody be upset with the current state of Canuck goaltending. Sure, Eddie Lack hasn’t played as many games or perhaps as well as some would like, but Miller is currently tied with Pekka Rinne for the league high in wins (15). It wasn’t so much Desjardins’ tangible modifications to the goaltending position in Vancouver as his attitude towards the roles of each goalie. As Miller continues to learn how to play behind this new team system, we can only expect more of the same success and perhaps some consistency. Check. Dan Hamhuis’ injury continues to be shrouded in secrecy, but it’s safe to say he won’t be playing for a while. Expect the same lineup as the win in Columbus, though Niklas Jensen could slide into the lineup after being recalled form Utica on Friday morning. This will be a significantly tougher test than the Columbus Blue Jackets and historically, the Red Wings have brought their best against the Vancouver Canucks. It’s a shame for fans out west that Detroit moved to the Eastern Conference, as they’re a great team to watch and now the Canucks will only see them twice a year. Motown is loving it though because, well… it’s not the Western Conference. I think the Canucks will be ready and keen to start the game off in a much better fashion than they did on Friday night. I’m predicting a fourth straight win, this one by a score of 4-3. These team building exercises from assistant coach Perry Pearn are super awesome. 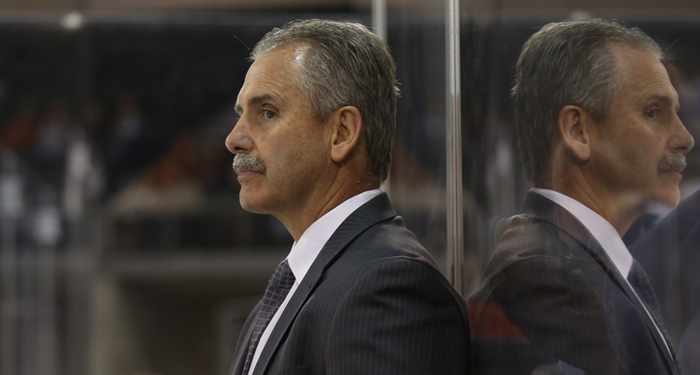 Apparently, “Wiley” Willie Desjardins cheats at puzzles. Whatever, as long as he keeps this team winning.